Moving animals are crucial for healthy ecosystems and species survival. With roads, railways and waterways, humans are influencing ecosystem connectivity and its shape. And this can lead to many problems. This is why the European Wilderness Society is contributing to raising awareness of the “Space for all” concept. This concept mitigates Human-Wilderness conflicts. Migrating populations are very important to ecosystems. For example, animals carry plant seeds, supporting plant dispersal. Predators move to find enough food in their territory. Populations also need to mix for gene-exchange for healthy individuals. Very large numbers of mammals, birds, reptiles, amphibians and invertebrates die on the world’s roads every day. Between 350 000 and 27million birds are estimated to be killed on European roads each year. And of course such road accidents are causing not only animal deaths, but also human losses. Therefore, it is important to understand wildlife migration, and build green corridors to mitigate this large number of deaths. Wide, borderless habitats became rare for wild animals in Europe. Therefore such still existent habitats must be protected and main­tained. However, roads, railways, housing, or commercial estates are fragmenting or isolating them. 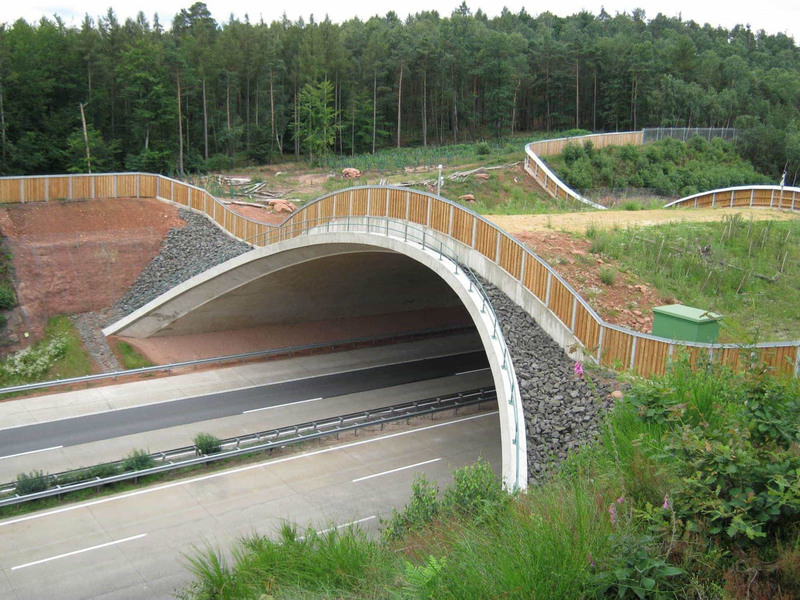 So in this case, wildlife overpasses or underground passages can combine the single habitats. On March 21-22, European Wilderness Society participated in a 2 -day international training “Environmental Impact Assessment of road infrastructure”. The training was part of the INTERREG DTP TRANSGREEN project. TRANSGREEN aims to contribute to safer and environmentally-friendly road and rail networks in mountainous regions of the Danube Basin, with a special focus on the Carpathian Mountains. Besides, they also took part in practical exercise on determination of research scope. And also participated in the field trip to one of the project pilot area of new road building. For this road critical points of wildlife crossing were identified and safety measures were proposed. The final project event “Pathways to greener transport infrastructure” will take place in Romania on June 25th, 2019. This conference will propose solutions and policy options for sustainable road & rail networks in Europe. beaver migration at Uzhanskyy National Nature Park. European Wilderness Society builds and maintains the European Wilderness Network. Wilderness in this Network are valuable habitats for rare, endangered wildlife, and ecological connectivity is critically important. Therefore, the promotion of solutions of green infrastructure and awareness raising on this issue are high priority in our educational activities and publications. Among them are Wild 4 in German and Wild 5 in Ukrainian Magazines. Who are the ecosystem engineers? Shock collaring wild wolves to solve livestock protection?